I’ve been playing Minecraft since early SMP beta, and it just occurred to me the other day that I’ve never really written about it. In large part it’s because, I mean, what is there really to write about. 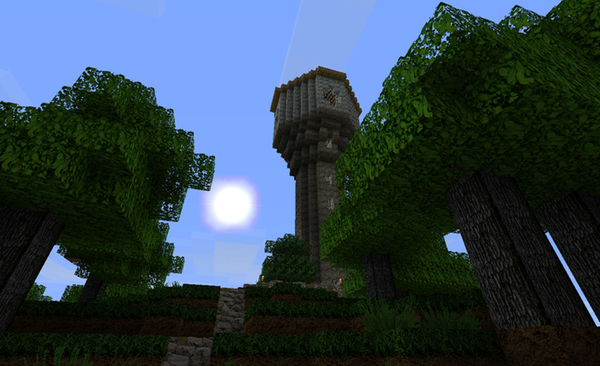 For most of the time I’ve been playing the game, I’ve played on a whitelisted server run by some friends. It’s always been SMP (Survival Multiplayer), so I started out with nothing, I punched some trees, mined some ores, and now I have my own island. In reality, and with no dissembling, it’s a tedious game … but it’s so zen in its tediousness that it transcends. Rather than doing a whole lot of writing. I decided to shoot a little video. It’s mostly a guided tour of my little corner of the much larger map (in addition to the basically unlimited map size, the guys that run the server also run Bukkit‘s Multi-Verse addon, so there are several maps you can hop to, in several different game modes). Keep in mind that everything you see built in the video was done in SMP. 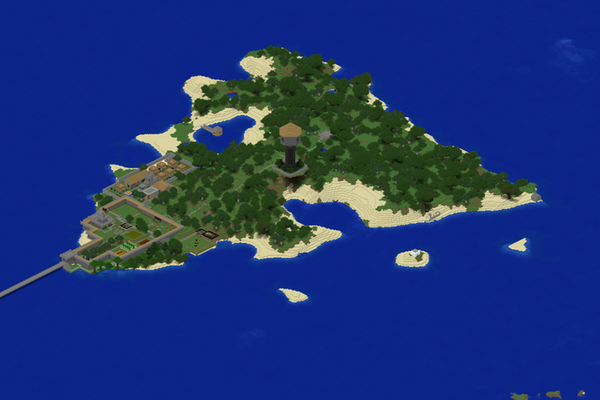 Every single block of cobblestone and ore mined. Even the village next to my holding was built by hand (I shanghaied two villagers from the mainland, with mine carts, to populate it). Also bear in mind that we’ve been on this particular server for over a year, so it’s not like I’m jacked into the game 24/7. For a little reference, here’s a map of the explored regions of the main world. 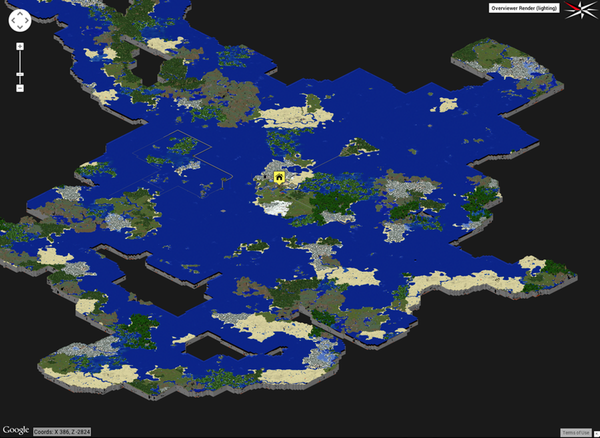 And here’s the map zoomed in on just my island. So, without further ado, here’s the guided tour of Scurvy Island. I actually don’t go down into the many meters of mines I’ve dug out below the surface, or my son’s little section nestled in the center of the island’s only lake, but it’s a good chunk of what I’ve built over the last year or so. It does include a demonstration of the automated delivery mine cart system I build with hoppers, though. Enjoy.